After a drop in prices on Thursday triggered by the worry that the Organization of the Petroleum Exporting Countries (OPEC) may raise output from July, crude trading on Friday resumed its normal pattern for the week - meaning, it enjoyed modest gains based on the abiding perception that the global economy may be healthier than initially thought and crude inventories are tightening rather than swelling. 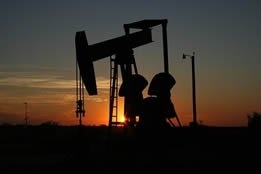 Brent rose 72 cents, or 1.02 percent, to settle at $71.55 per barrel, while West Texas Intermediate ended the session up 31 cents, or 0.5 percent, at $63.89 per barrel; both benchmarks achieved a weekly gain of about 1 percent, which was Brent's third consecutive week of gains and the sixth straight rise for WTI. The perception of tightening was helped along by Libya, whose National Oil Corporation head warned on Friday that renewed fighting could wipe out crude production in the country; as for traders' view of the global economy, it was buoyed by data from China showing that exports rebounded in March, which helped offset weaker imports and reports of another cut in German growth forecasts. While the rally for 2019 is impressive (the yearly gain is 33 percent) compared to the price doldrums of crude in 2018, Jeff Kilburg, founder and CEO of KKM Financial, told CNBC television that with regards to WTI, $65 "presents a bit of a ceiling in crude oil, and think about it, we've had every reason to vault that $65 resistance: we've had geopolitical tension, we've had OPEC and non-OPEC members talking in concert to move crude oil higher in supply; but at the end of the day, we are not getting above $65," and he blamed the rise in the U.S. dollar for keeping a lid on crude. Anthony Grisanti, president of GRZ Energy Inc., told CNBC television that $64.80 is the ceiling for WTI, and the only ways to see real dynamics in the market "is to eliminate the waivers on the Iran sanctions; we need to see OPEC continue their cuts, and we also need to see a China trade deal. "If we get those three things, we'll see oil pop at $67." Another noteworthy development on Friday is that money managers raised optimistic wagers on Brent crude for a fifth straight week while closing out pessimistic bets by the most since January - the direct result of the turmoil in major oil-producing nations such as Libya heightening supply concerns. The net-long Brent position - the difference between bets on higher prices and wagers on a slide - climbed 2.7 percent to 358,141 futures and options contracts for the week ended April 9, according to ICE Futures Europe. Tyler Richey, co-editor at Sevens Report, told Bloomberg that "There's not many people who are willing to short this market; we could be near a market top, but it's just too early to tell. "Right now, the path of least resistance is higher for oil."